, in which patterns in sensor data are identified to plan maintenance of the asset; (2) Predictive maintenance, in which trends in sensor data are identified to predict time to failure (3) Risk-based maintenance, in which decision about maintenance of an asset is also based on optimising the use of maintenance of resource across all assets (risk here equates to the product of probability of failure and the economic consequences of failure). Till now, the focus of APM has been on generation assets, but APM can be applied to all assets, including transmission and distribution assets like transformers, switch gear, capacitors, insulators, conductors, and others. IoT sensors can provide data about the health of these assets in order to improve grid reliability and reduce cost of repairs. The use of IoT can improve reliability and availability of the assets, reduce maintenance costs, and enhance productivity and safety of repair crews through identification of source of failure. Operational optimisation The paper notes that there is an ongoing boom in new power plant and infrastructure construction in most countries in Asia to reduce the deficit between demand and supply of power. There is also strong deployments of variable generation technologies like wind and solar, driven by established targets for clean renewable energy and falling prices. 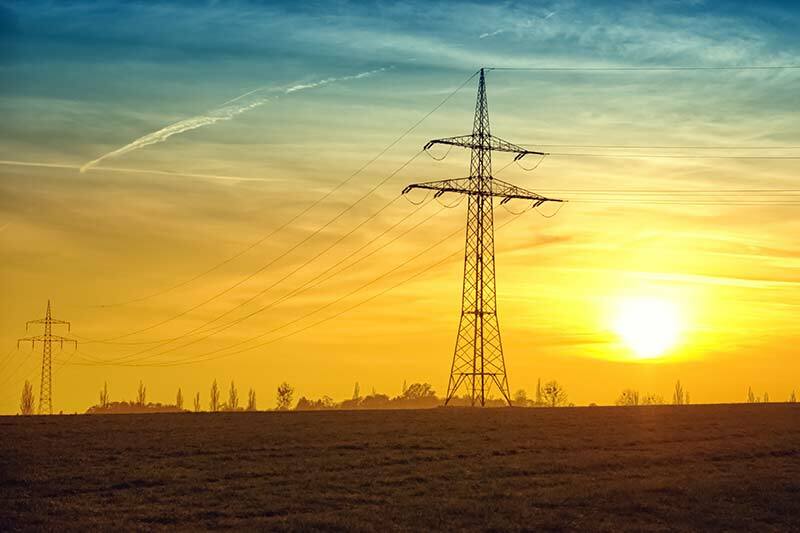 In the Transmission & Distribution (T&D) segment of the power sector, new high voltage direct current lines, high voltage AC lines, power converters, reactive compensators, and others are being deployed alongside legacy assets. On the customer side, utilities are being pushed into unchartered territory with rooftop solar, storage, smart applications to control devices, and aggregation of loads for demand response. Operational optimisation of these emerging complex networks requires real-time data and analytics, enabled by IoT. IoT makes the grid intelligent and flexible, thereby giving it the capability to manage variability and uncertainty. Customer Services and Experiences Two of the earliest and most visible applications of IoT in the power sector, smart meter and smart thermostat, fall in this category. Smart thermostats and smart meters, in conjunction with other IoT solutions, have the potential to spur a variety of smart buildings and smart city applications. These include home-based smart energy management solutions with integrated management of generation, storage, and consumption. The report presents a hypothetical use case of a Smart Energy Management System (SEMS) in a household with rooftop solar PV, storage, electric vehicle, and five IoT-enabled devices—oven, icemaker, dishwasher, clothes washer, and dryer, located in a region with high solar PV penetration and time-of-day price of electricity. On a sunny day when the dynamic price of electricity has dropped because there is excess solar PV generation in the region, the SEMS algorithm may decide to purchase cheaper power from the grid to power five preprogrammed appliances and store the energy from rooftop solar PV into the storage device and the EV for use during night. IoT components involved here are: (1) sensors to measure solar PV production, solar radiation, state of energy storage, state of electric vehicle, charge and others; (2) actuators to turn appliances on or off, switches, storage devices, and EV; and actuators to change settings of heating, ventilation, and air conditioning (HVAC), refrigerator, and other devices; (3) data feed from external sources about dynamic price of electricity, weather forecast, and others; (4) algorithms to optimise buying and selling of electricity; and (5) dashboard for customer to view energy usage. Such SEMS systems would complicate the current centralised utility model in which the flow of energy is unidirectional—from large centralised generation plants to customers. With a bidirectional flow of energy, an intelligent and flexible grid is required. IoT will be a necessity to solve the challenge of managing these new grids. Challenges Large investments will be required to realise the benefits of IoT (though this investment is much less than the larger infrastructure investment). The paper says that IoT investment should be done alongside new infrastructure investments. ADB has worked with and invested in state-owned utilities since its founding. Hence, ADB could be considered to be in a unique position, using results-based lending, sovereign lending and other financial vehicles, to enable the IoT transformation. The regulatory framework will have to address three new aspects that have not been traditionally addressed by utilities: cybersecurity, data privacy, and interoperability. Beyond the new aspects, on the traditional front, regulatory changes will be required to deal with separation of monolithic utilities into distribution, transmission, and generation functions; competition in each of the three verticals; realignment or elimination of subsidies; day-of-time tariff; net-metering for small-scale renewable energy projects etc. Then there is the issue of standards or the lack thereof. Utilities have spent large sums on smart meters that are only compatible with a certain technology or equipment provider. This has locked them into a particular set of equipment that may not be the best suited for integration with other initiatives and for future rollout of the solution. The paper also notes that power subsidy policies in many countries in Asia-Pacific disincentivise market-based investment in energy infrastructure. Often there is political pressure to keep electricity rates low and employ large numbers of people. These are not conducive to increasing efficiency through IoT driven automation. ADB-funded development interventions such as technical assistance programs and loans may be a vehicle for these countries to develop an IoT transformation road map. It is recommended that the road map have capacity building and knowledge transfer as one of the focus areas, as strong ICT and analytics skills would be required to fully realise the benefits of IoT, which may not be readily available. ADB cautions against getting swayed by vendor driven projects or the “shiny thing,” which would squander investments in IoT projects. The first few IoT pilots usually would need a few or no additional sensors, and the focus should be on using existing data in smarter ways. The roadmap should also connect with major strategic initiatives, e.g. loss reduction, reliability improvement, cost reductions, emissions reductions, renewable energy goal attainment, new metering, and others.